We Service The Riverside, Los Angeles, San Bernardino, and Orange Counties. We Specialize In Building & Remodeling Custom Designed Pools & Spas, From The Most Basic Swimming Pool, To The Most Elaborate Pool Imaginable. We Have Over 30 Years Experience In The Swimming Pool & Spa Industry. Our Continued Success is Attributed To Our Loyal Customer Referrals & Our Commitment To Acheive 100% CUSTOMER SATISFACTION. We Look Forward To The Opportunity To Meet All Your Swimming Pool And Backyard Needs. Join our Facebook Fan page for Remodeling & Building Trends, Special Discounts & More!! Click facebook box to join! We Offer Free In Home Estimates! . We Specialize In Custom Swimming Pool Remodeling & Building. 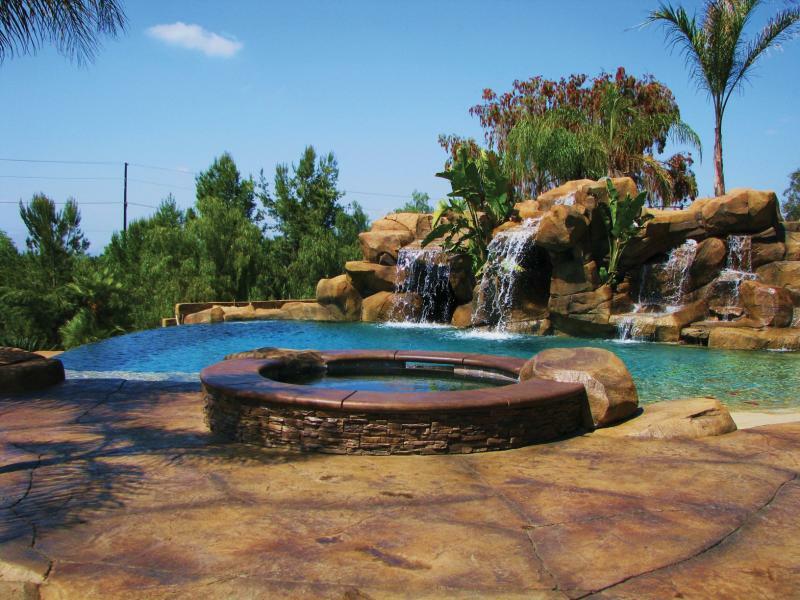 Let us Turn Your Existing Pool into The Paradise Of Your Dreams! Copyright 2019 DJ's Clearwater Pools. All rights reserved.